United Nations spokesman Stephane Dujarric said on Monday Secretary-General Ban Ki-moon deems the 1915 Armenia genocide as an "atrocity crime" and does not follow Pope Francis's labeling of the incidents as "the first genocide of the 20th century." Dujarric said the UN general secretary described the incidents as "tragic events" and "atrocity crimes" refraining from taking sides in such a sensitive matter that has been politicized. He also added that Ban believes that the commemoration and continuing cooperation between Armenians and Turks "with a view to establishing the facts about what happened should strengthen our collective determination to prevent similar atrocity crimes from ever happening in the future." 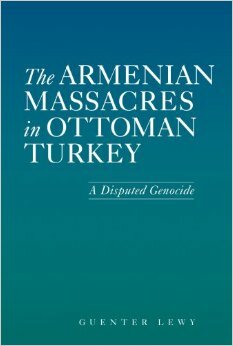 The UN doesn't accept that what happened to the Armenians fits the legal definition of genocide. Remember that the definition of genocide is a legal term that has only been applied to the Holocaust and events after it became international law. There is nothing to suggest that the word "genocide" can be used to refer to events before the Holocaust even if every Turk accepted that version of the narrative. The Turkish government therefore, has zero incentive to actually accept that legal terminology to describe the actions of its predecessor government. A growing number of Western historians (such as professors Heath Lowry, Bernard Lewis, Guenter Lewy, Norman Stone, Justin McCarthy, Stanford J. Shaw, and many others) have rejected the genocide and the UN which defines genocide has also rejected it.